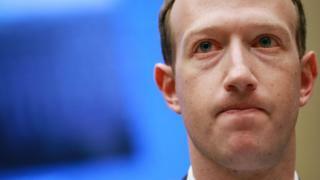 Facebook had previously allowed some white nationalist content it did not view as racist - including permission for users to call for the creation of white ethno-states. The company said it had deemed white nationalism an acceptable form of expression on a par with "things like American pride and Basque separatism, which are an important part of people's identity". But in a blog post on Wednesday it said that after three months of consultation with "members of civil society and academics", it found that white nationalism could not be "meaningfully separated" from white supremacy and organised hate groups. New Zealand Prime Minister Jacinda Ardern said social networks were "the publisher, not just the postman", in reference to their potential liability for the material shared on them. Other tech groups also took steps to clamp down on sharing of the video. Reddit banned an existing discussion forum on its site called "watchpeopledie" after clips of the attack were shared on the forum. Valve, which runs the Steam gaming network, said it had removed more than 100 "tributes" by users that sought to memorialise the alleged shooter.